Based at the stunning location of Dale Fort, a large proportion of the UK spider fauna will lie within our reach in woodland, grassland and coastal habitats. We will focus on field identification of live spiders under the expert tuition of one of the authors of the WILDGuide Britain’s Spiders. First published in 2017 to great critical acclaim, this innovative book pushes the boundaries of what can be identified and recorded in the field and what better way of exploring these boundaries than under the expert guidance of one of the authors! Identification of live spiders often relies on a crucial piece of kit called a spi-pot to allow detailed examination in the field and participants will learn how to make and use them. There will be follow up sessions in the lab to illustrate how to deal with spiders that can’t be identified in the field. Note that although the emphasis is on field identification, some spiders might be taken and preserved for identification under the microscope. This course is suitable for beginners as well as improvers. 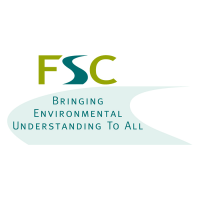 To book a place on this course, please visit the FSC website or contact the centre directly on 01646 636205.